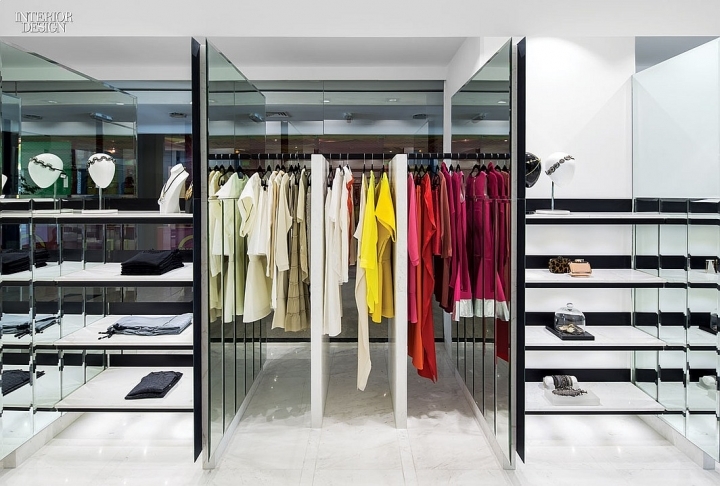 In the oil-rich and decidedly cosmopolitan Middle Eastern capital of Kuwait City, the fashion retail scene is crowded, unusually expensive, and rife with high-end Western brands. 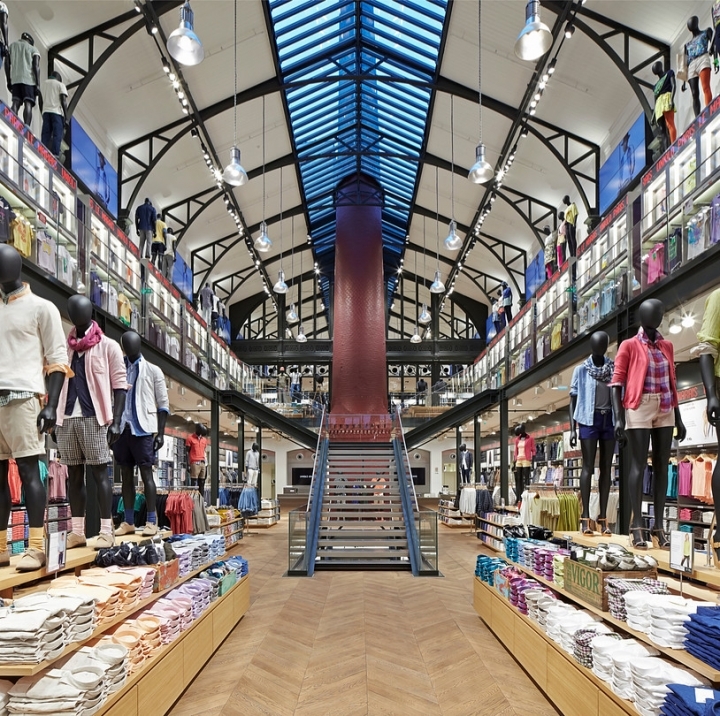 It’s a market in which stores need to stand out to succeed. 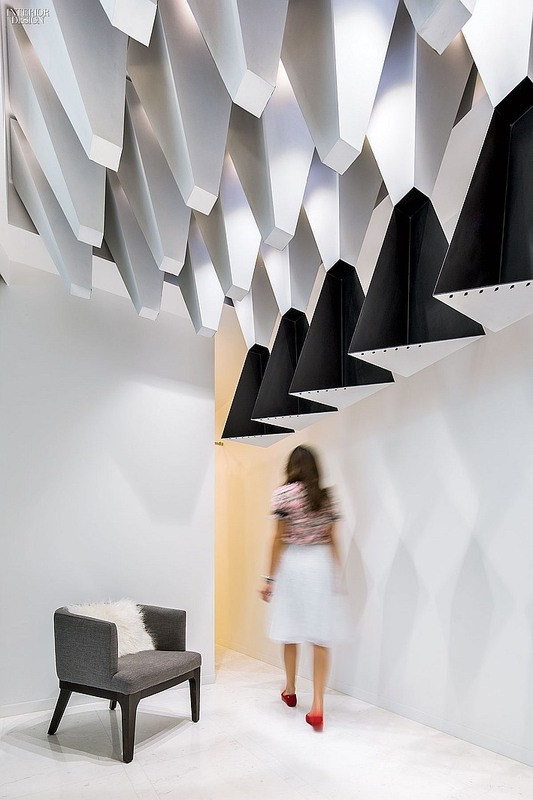 So when the owner of the women’s clothing and accessories boutique Mélange approached architect Ahmad Fakhra, principal of United Engineering Consultants, to design a new location, she had only two requests. 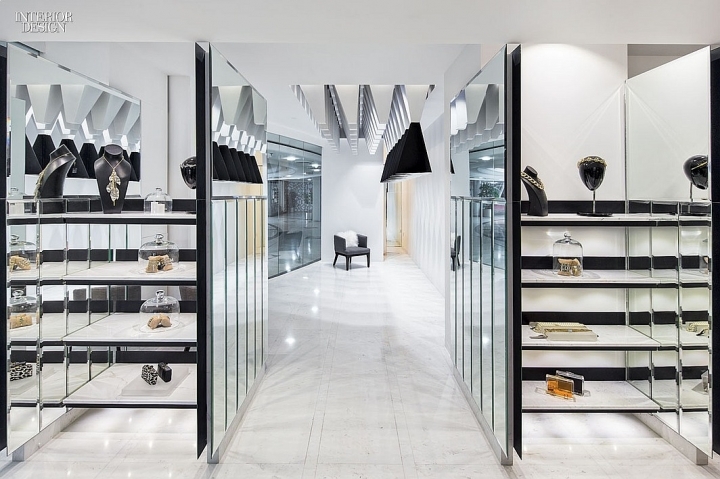 The interior had to be high-contrast black-and-white and to project an unmistakably luxurious image, even if the merchandise is relatively affordable, and the site is a midrange mall. To achieve that sleight of hand, he and Massive Order principal Muhannad Albaqshi who met when they were both teaching art at Kuwait University employed repetition and optical illusions to create a strikingly contemporary kind of glamour. “Image is everything here in Kuwait,” Fakhra says. The first of Mélange’s illusions greets shoppers as soon as they approach the entrance. “All you really see at that point are mirrors,” Fakhra continues. 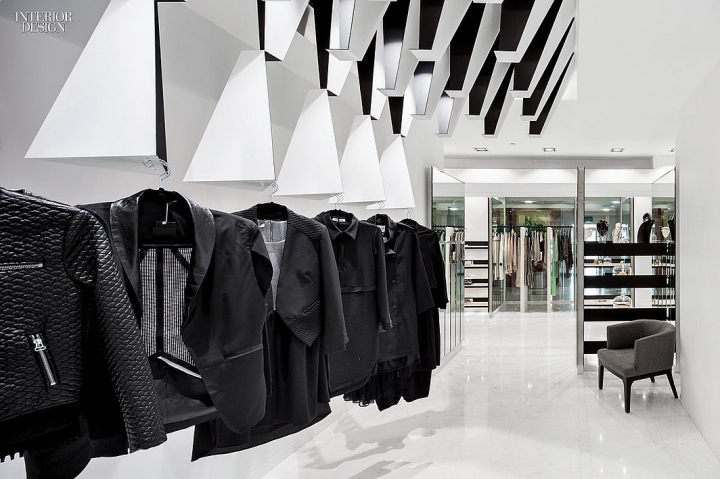 “Only as you walk through the store do you start seeing the products displayed between reflective partitions.” He calls this hall of mirrors, which fills the 800-square-foot L shape’s main leg, the “display corridor,” and its primary purpose is to solve one of the project’s most basic challenges: how to present Mélange’s particularly large and stylistically diverse selection in the sleekest, most aspirational manner possible. 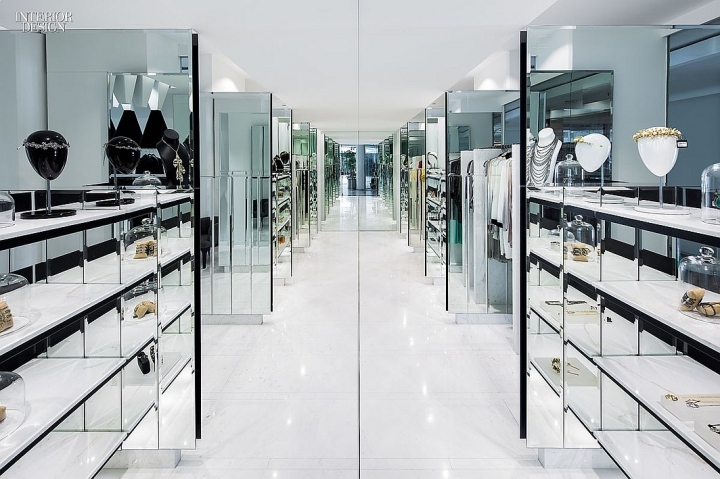 In addition to making the shop look less cluttered and more polished, when viewed from outside, the mirrored partitions visually frame nine different merchandising vignettes, when viewed from the center aisle. Pure symmetry couldn’t be conjured in the smaller leg of the L, since the asymmetrical elements include a large, curved window onto the mall corridor. 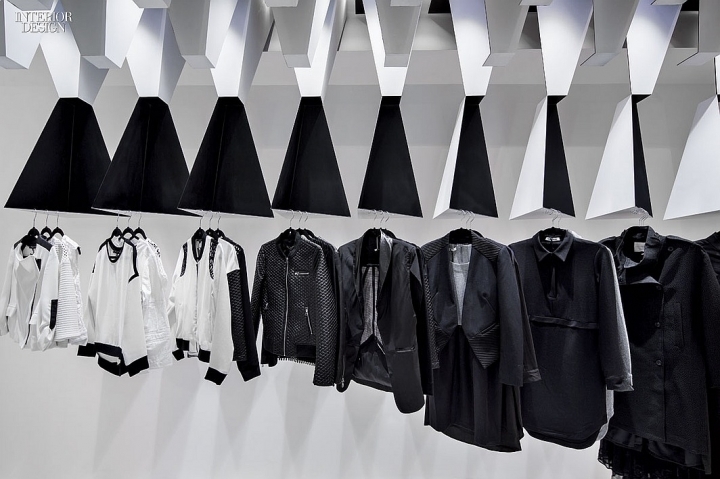 “While the hall of mirrors is about rectilinearity with a definite focal point, the second section is sculpted, with a general movement toward the clothes,” Albaqshi says. 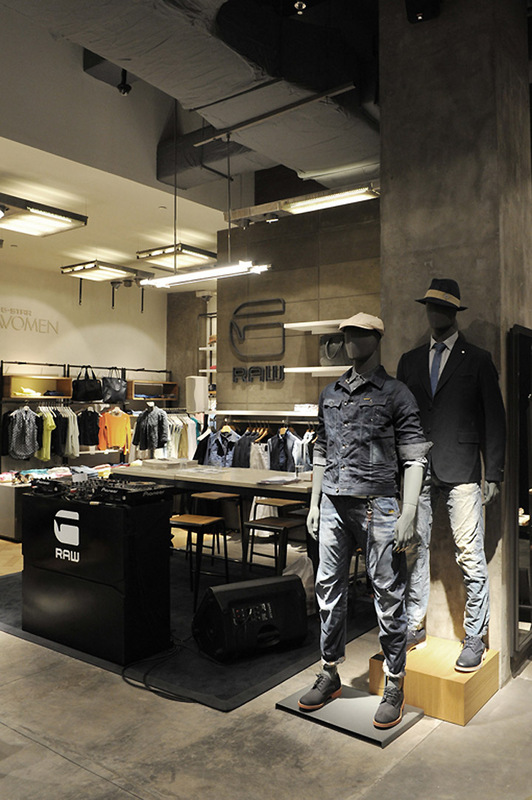 He and Fakhra focused on how to coax the narrow space into doing double duty as an eye-catching window display and a functional merchandising area. 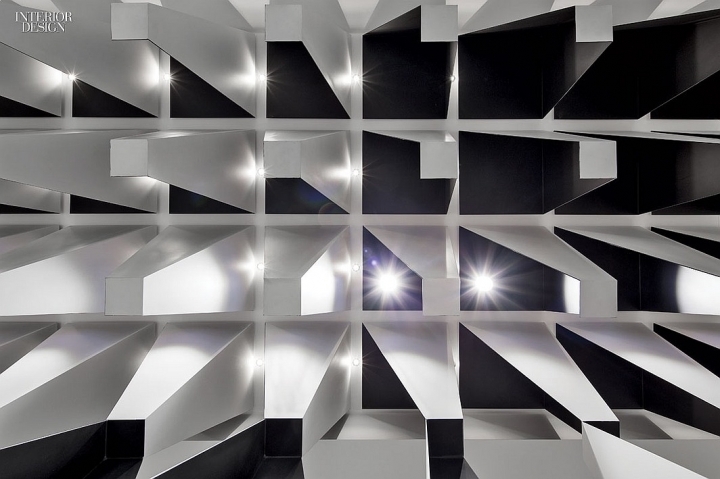 The centerpiece is a black-and-white geometrical apparition of angular stalactites and hanging pyramids. They, too, play with perception. From the mall corridor, the 3-D installation looks like a sculpture hovering over shoppers as they view and touch the clothes. From inside, as those shoppers pass around and underneath to remove the hangers hooked into small holes in the pyramids, it takes on a much more dynamic appearance. 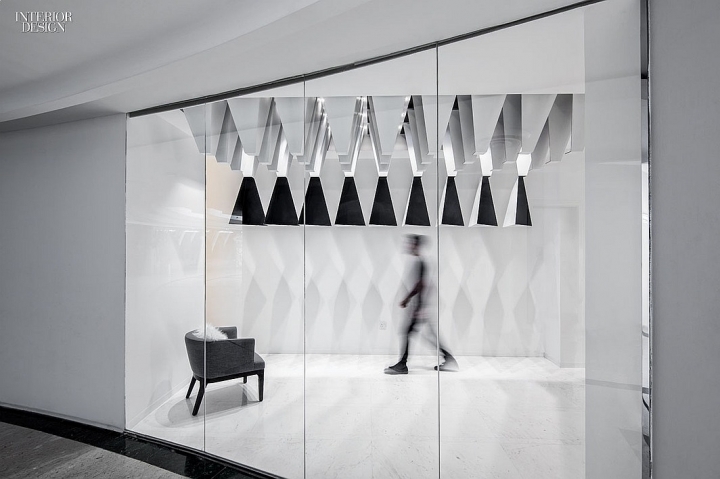 “As you move, you see that these seemingly volumetric objects are actually just thin, planar laser-cut metal sheets, powder-coated black on one side and white on the other,” Fakhra notes. The architects chose steel because it’s one of the few materials that can be precision-fabricated in Kuwait City. 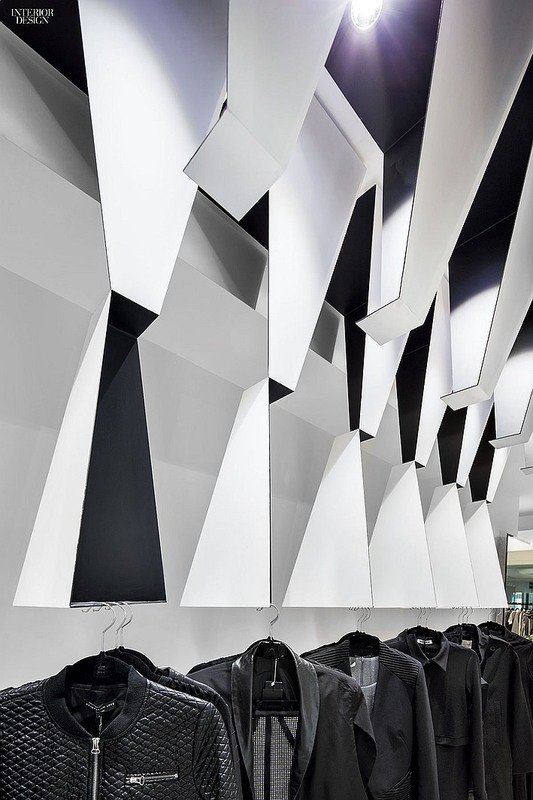 Taken as a whole, the store experience is intended to morph based on the vantage point of the customer as she walks through, almost like an immersive op-art piece. “When you enter, you have to spend some time understanding it. Then, as you change direction, you start seeing things differently seeing spaces differently, seeing objects differently,” Fakhra explains. “It adds dimension.” And, with luck, sales at the hidden cash register. 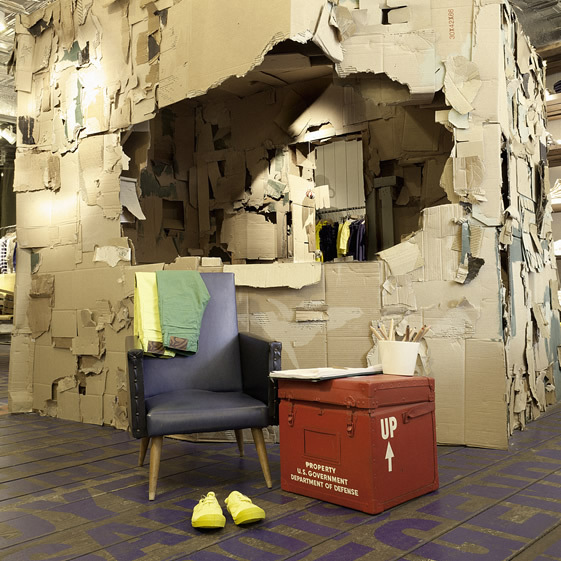 Hamad Alkhelaifi; Hamad Hussain: Massive Order. Marin International Carpentry: Woodwork. Metalco: Metalwork. Refai Glass Co.: Glasswork.